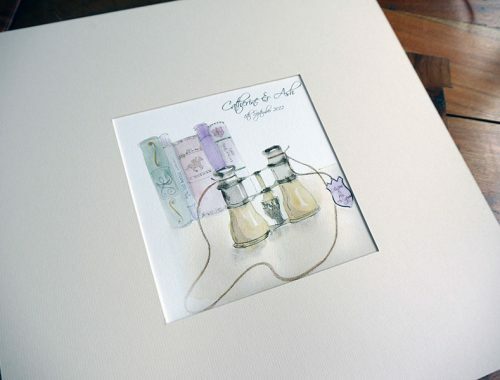 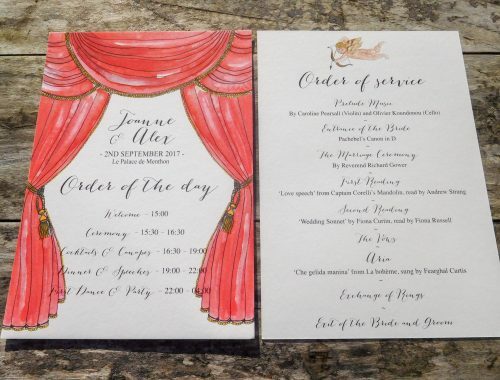 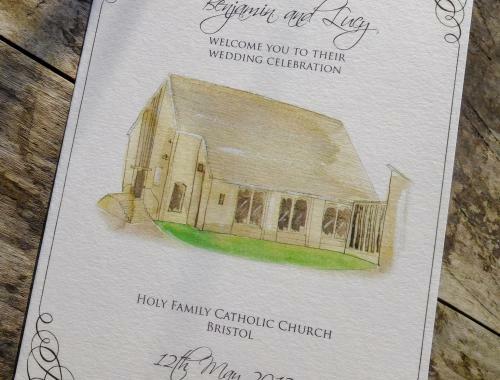 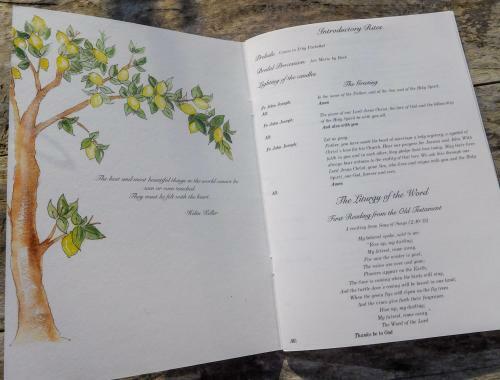 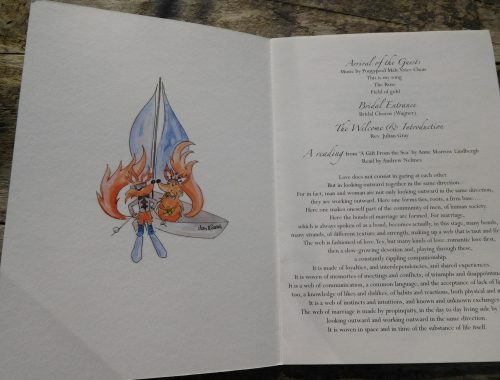 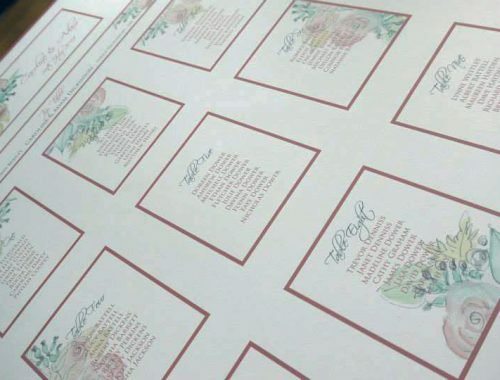 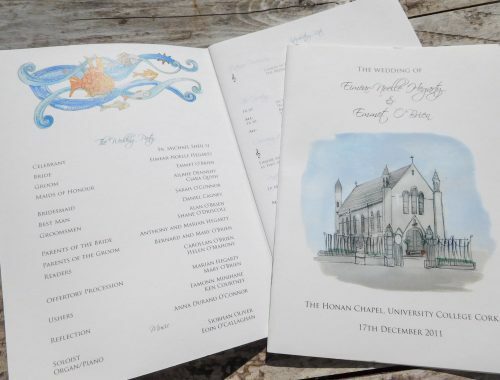 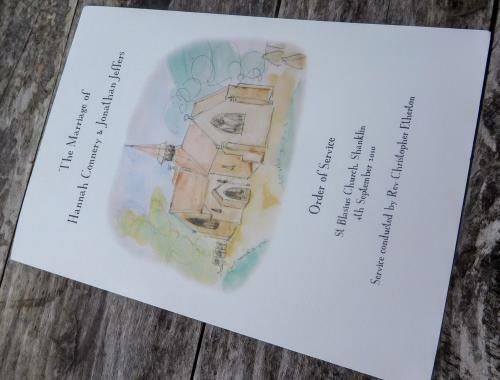 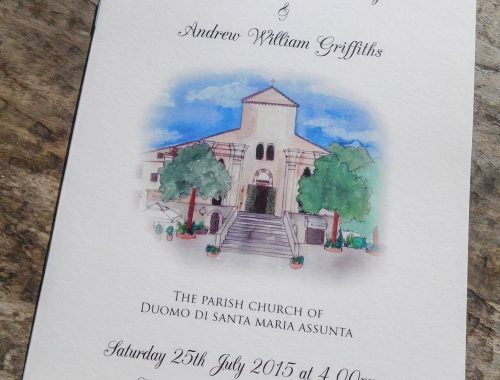 Provide your guests with Order of Service for your Wedding Ceremony.These can either by A5 flat card for short services, or as A5 Printed Booklets for longer Ceremonies such as Catholic Wedding. 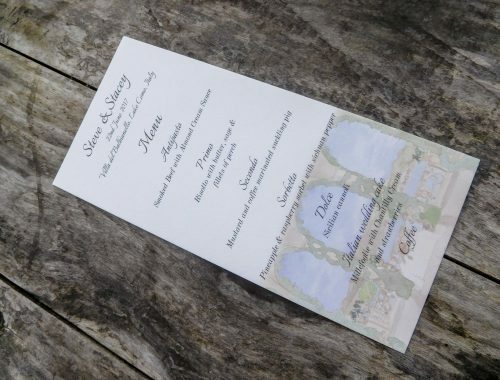 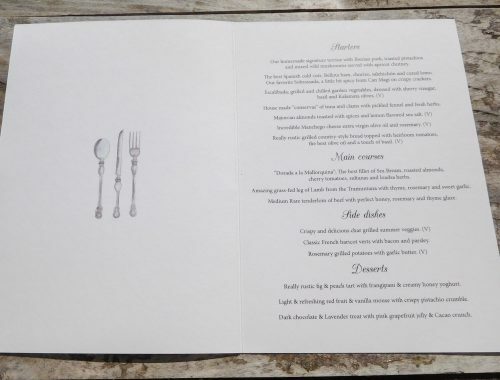 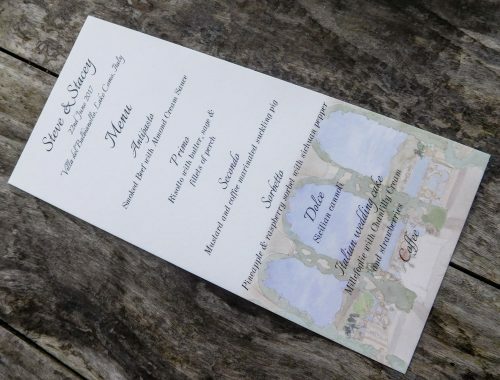 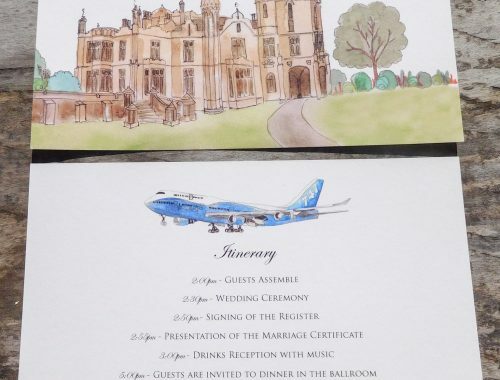 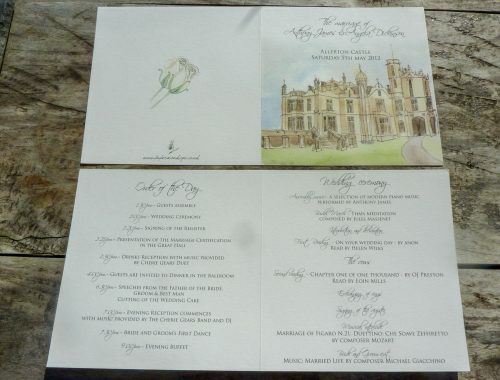 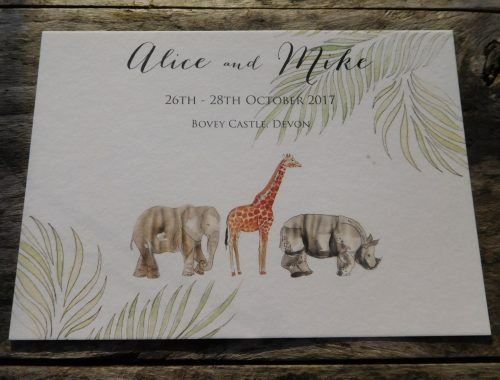 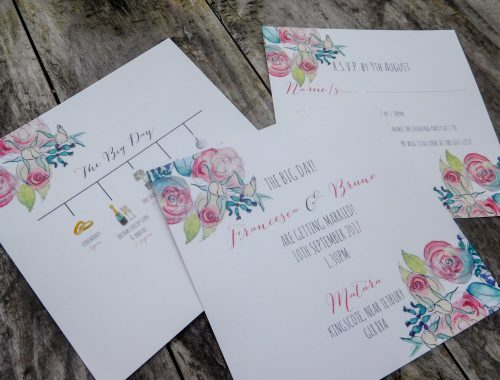 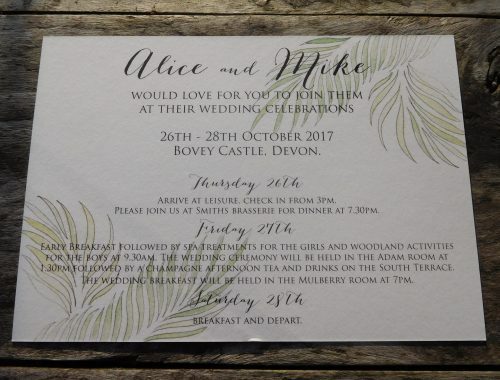 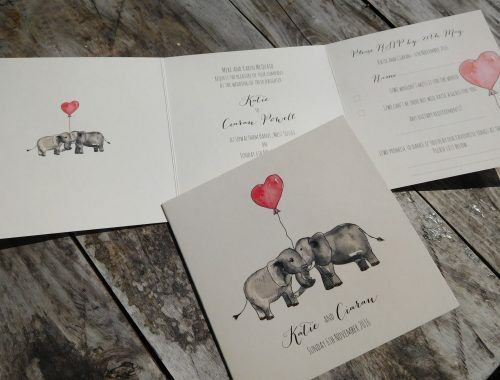 Itinerary cards are a great way for your guest to know what you have in store for your wedding day.These can be supplied to each guest before or at the start of the big day. 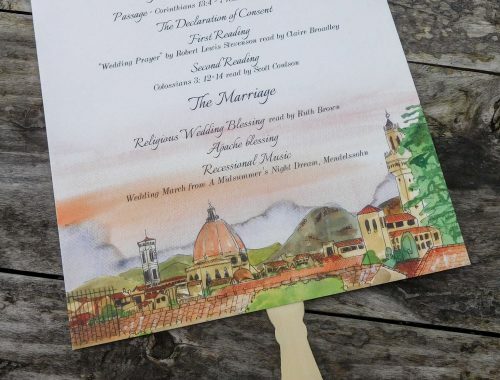 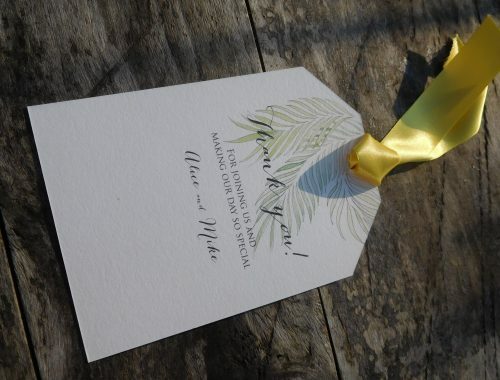 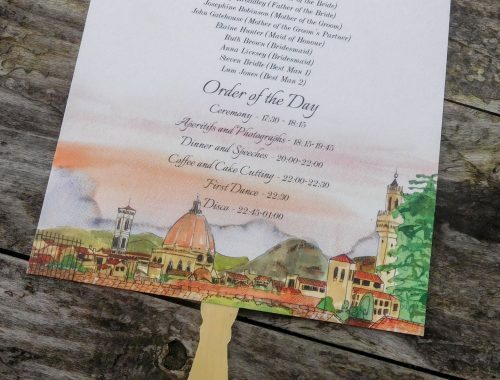 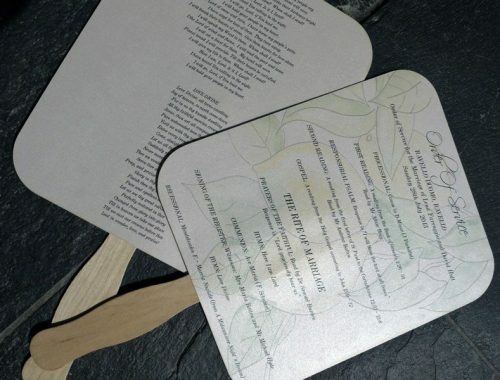 If you are getting married, if it going to be hot, why not provide your guests with custom paddle fans.The fans can double up as a order of service, or itinerary card. 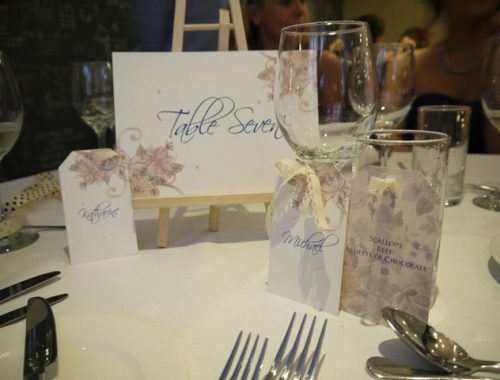 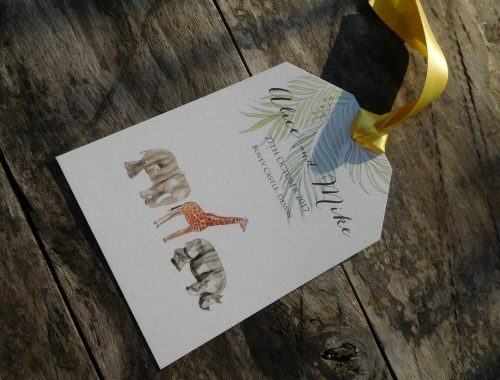 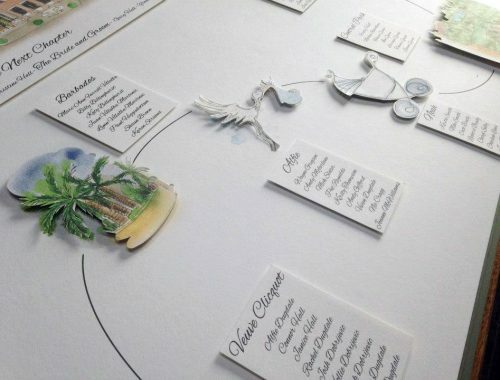 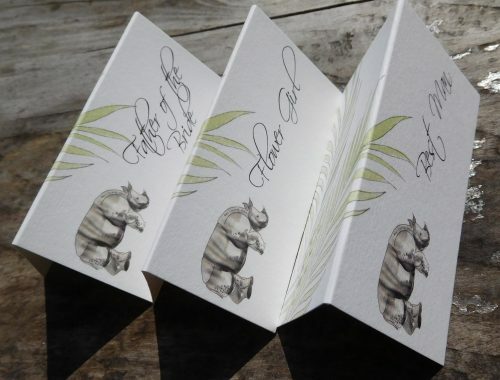 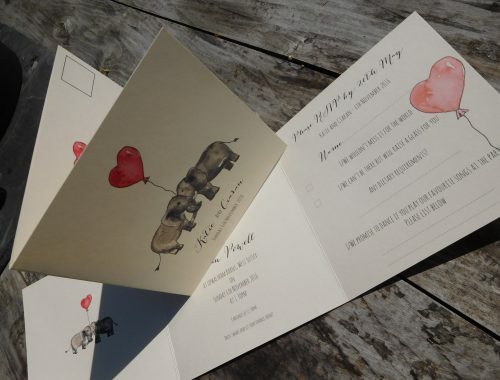 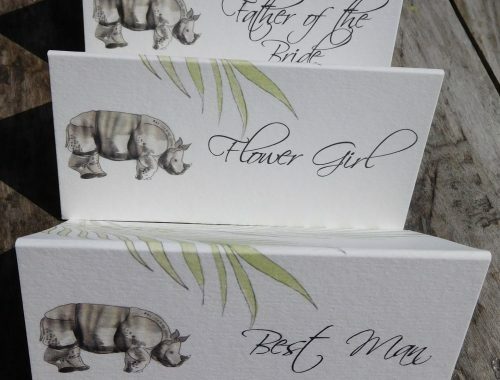 Papermonkeys design the tableplan to coordinate with all your other stationery items. 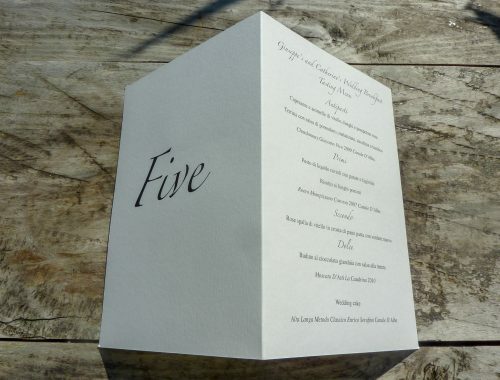 We can create them in a variety of shapes and sizes. 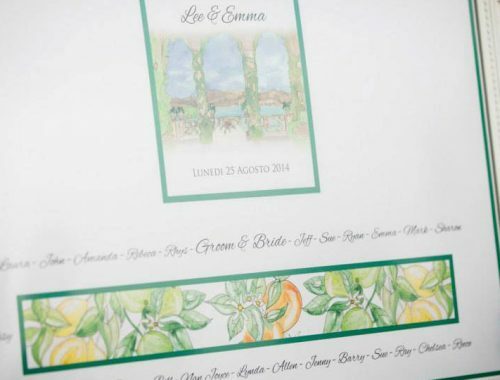 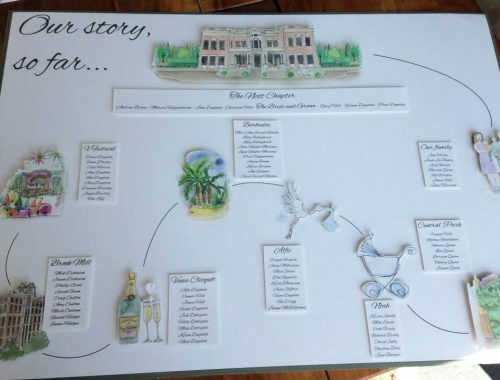 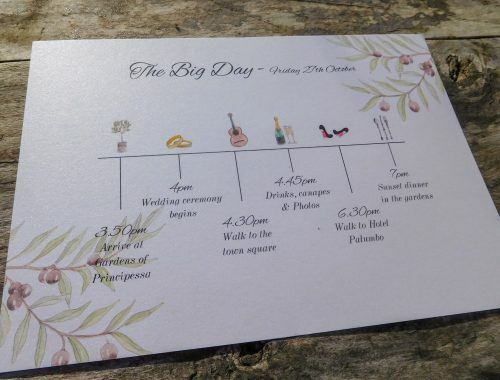 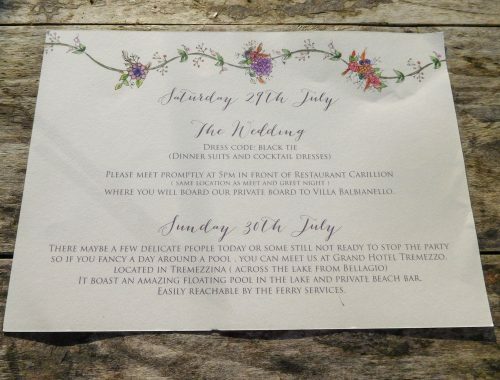 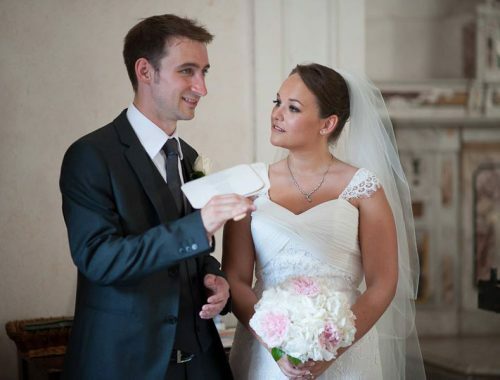 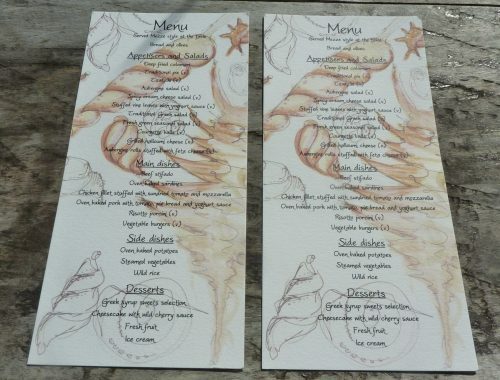 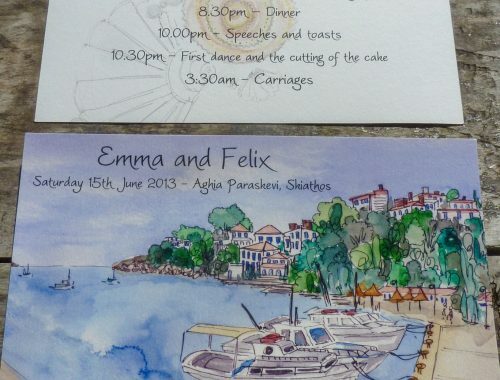 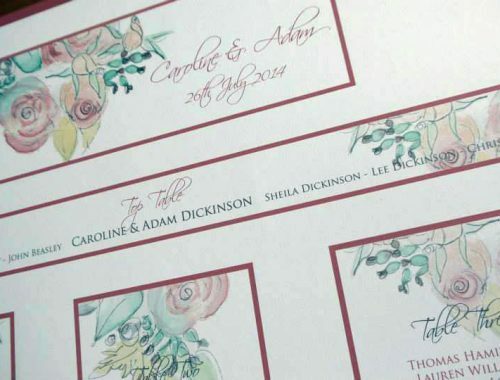 We can also create tableplans that can transport easily for weddings abroad. 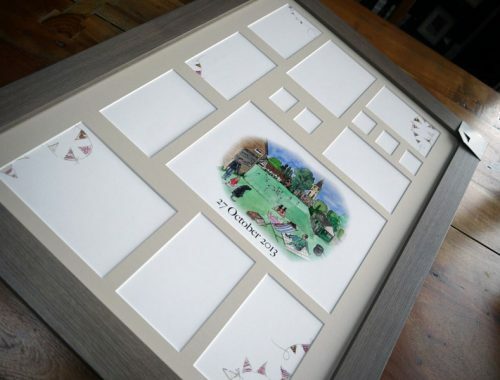 Essential for large weddings with numerous table. 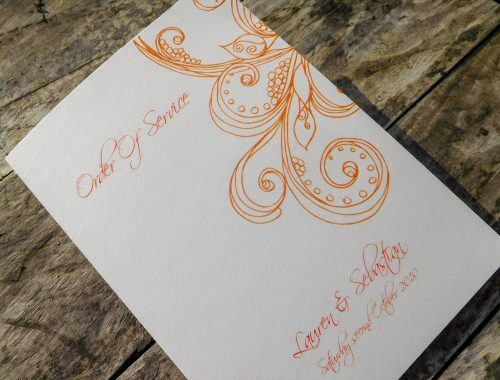 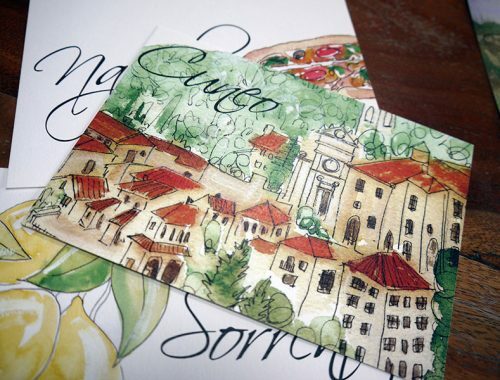 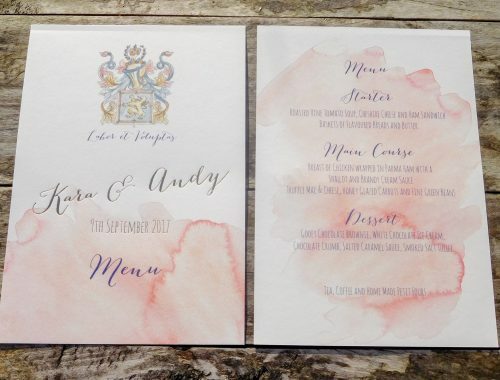 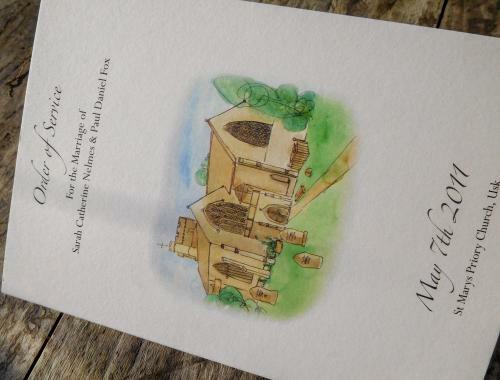 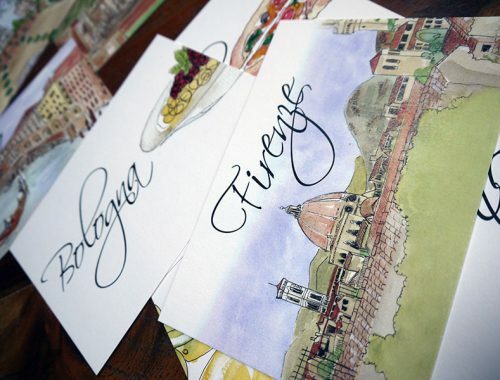 Place cards are essential for your wedding breakfast. 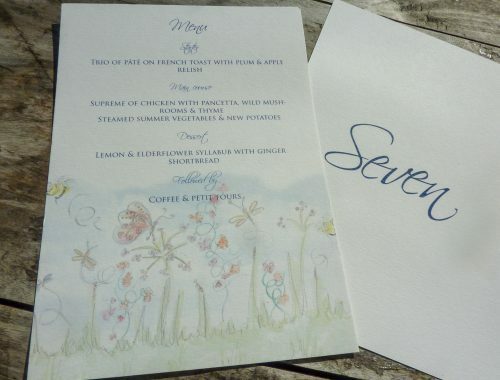 We can supply blank place cards through to custom designed place cards, pre printed with your guests names. 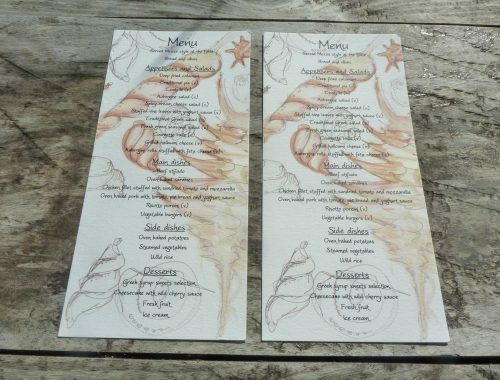 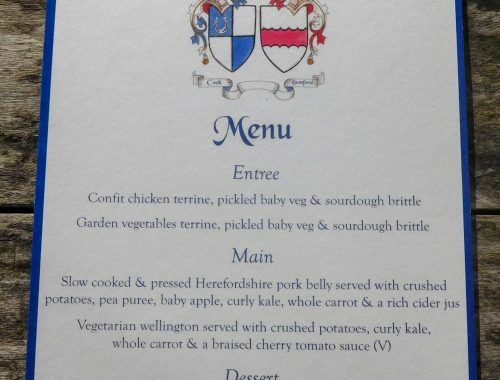 Provide your guests with a menu of their wedding breakfast. 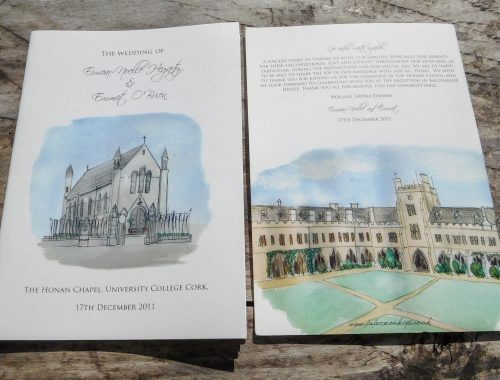 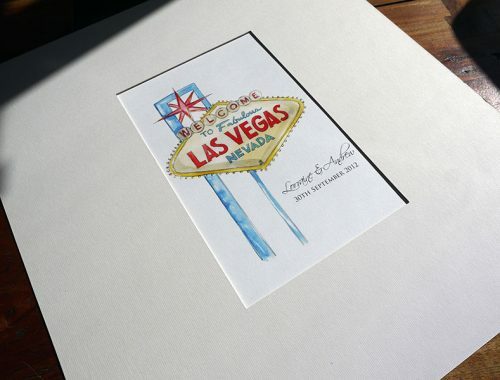 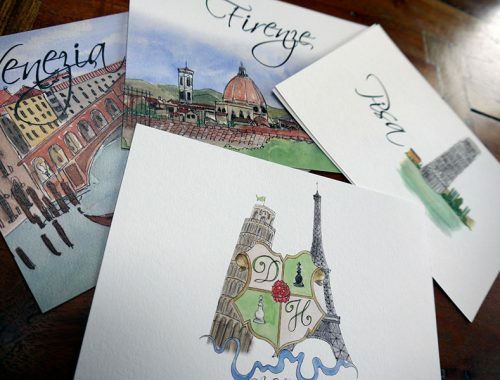 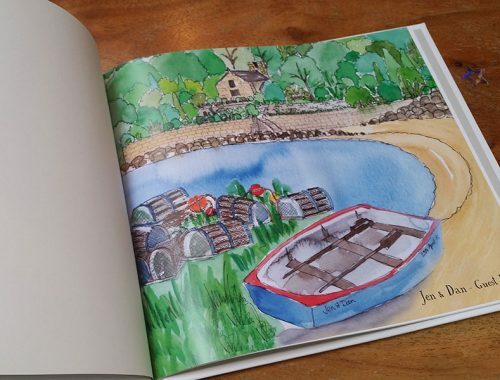 We provide a custom illustration print set into a high quality card mount, for your guest to write their congratulations messages around. 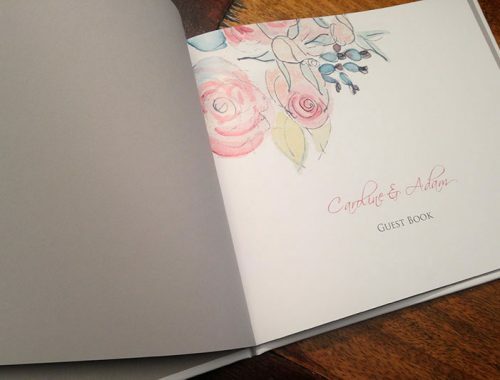 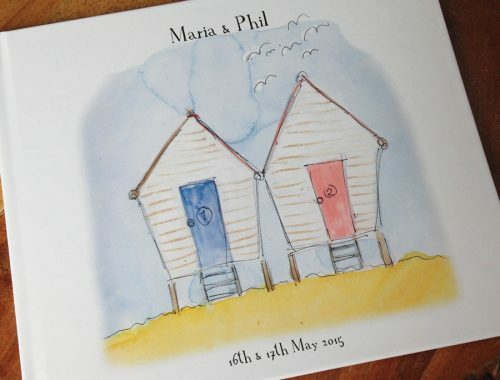 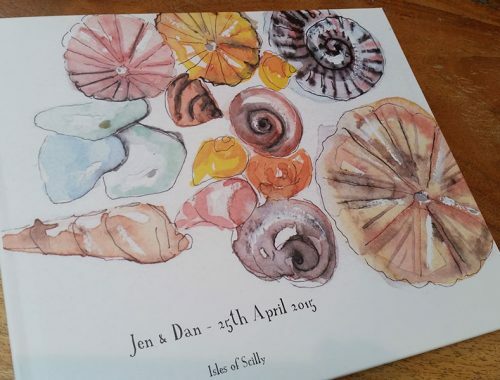 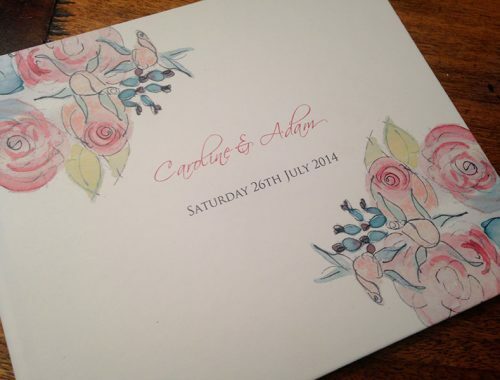 We offer high quality, hard backed, bespoke guest books to your specification that will perfectly complement your wedding stationery and wedding themes.